A brief history of the Lady Dior purse. In Princess Diana's photos from the final years of her life, one particular handbag made cameos often enough that it became attributed to the late royal. Fashion enthusiasts won't have any problem recognizing it, given its status as one of the world's most iconic bags ever. 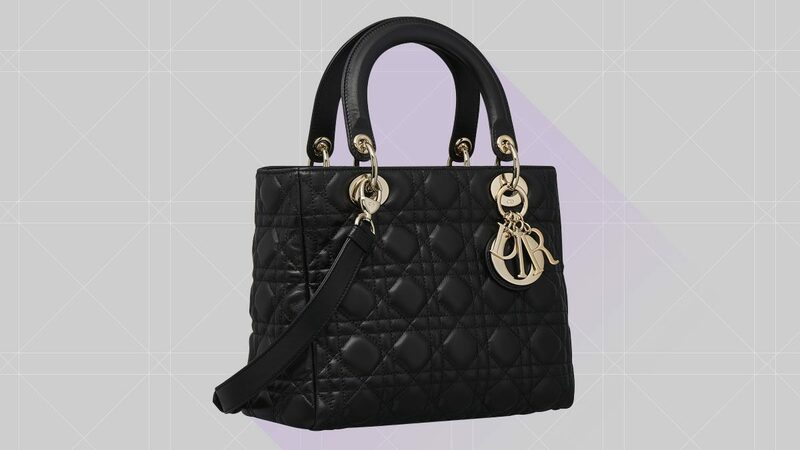 We're talking about Dior's Lady Dior handbag, an enduring style from the French fashion house since it launched in 1994. Contrary to popular belief, however, it wasn't made in honor of Princess Diana—instead, according to MarieClaire.co.uk, it only got its popular label two years later, in 1996. As the story goes, Diana received the classic black purse as a gift from Bernadette Chirac, former First Lady of France, in September 1995. She loved it enough to be repeatedly photographed carrying it over the next few months in engagements all over the world. Finally, in 1996, Dior obtained the princess' permission to rename it "Lady Dior." These days, various interpretations of the Lady Dior exist. It's constantly being reinvented by the creative team at Dior, sometimes without the signature woven "cannage" material it originally came in. It has also found fans among a new generation of It girls, including actresses and Dior muses Marion Cotillard and Jennifer Lawrence, fashion blogger Aimee Song, and style icon Alexa Chung.